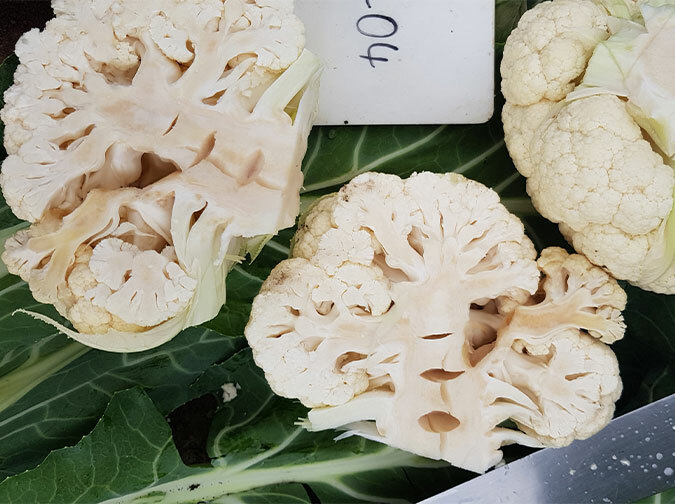 With the extreme fluctuations in temperature and the erratic rainfall pattern experienced the past few seasons, physiological disorders of all vegetables have become more prevalent than in the past. 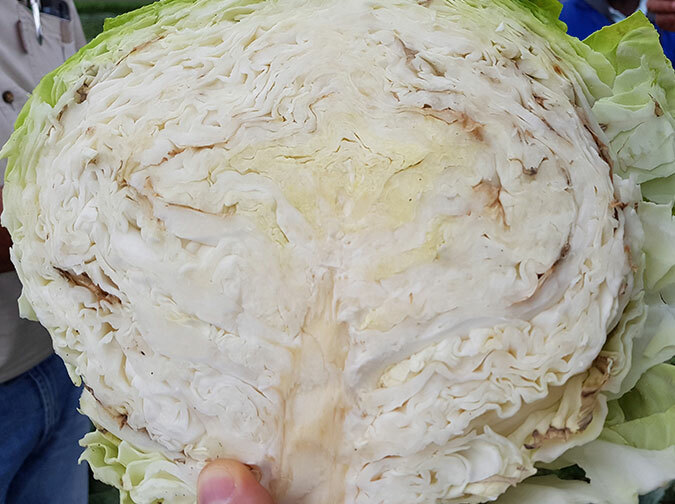 Two of these disorders that are very common in broccoli and cauliflower will be discussed here – hollow stem and tipburn. Hollow stem – also known as boron deficiency to some – is very common, especially in summer when plants tend to grow much faster due to the higher temperatures. 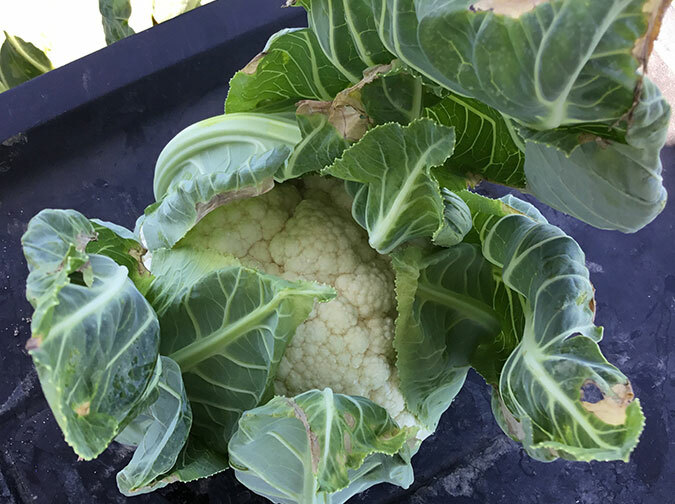 Broccoli and cauliflower has a high requirement for boron, which makes this deficiency very common. The name is self-explanatory, as the plants grow, the stems become hollow and necrotic due to internal splits in the stem. 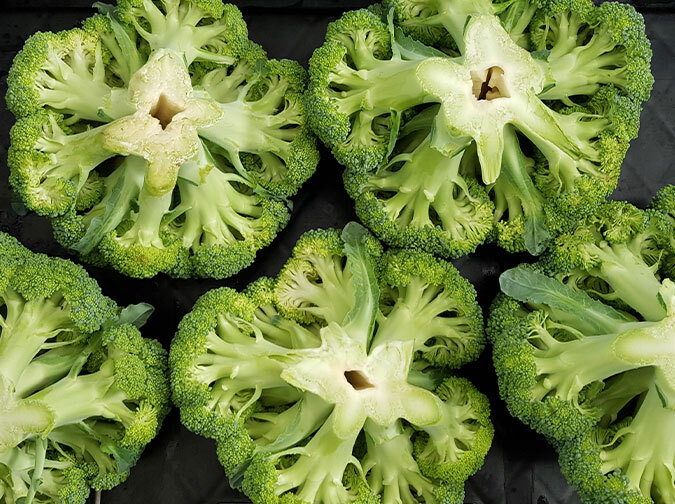 With the hollow stems, brownish water soaked lesions appear on the broccoli florets and cauliflower curds. This disorder also leads to a much shorter shelf-life, since the product will start rotting from the inside. Hollow stem symptoms tend to develop as the soil profile dries out after some extended rainfall. Hollow stem is also more common when there is an excessive amount of nitrogen present. Nitrogen is one of the most important elements for growth stimulation, and when this growth is over stimulated, other elements such as calcium and boron (responsible for strength and elasticity of cell walls) become diluted in the new tissues, leading to cell breakdown and splitting of the stems. Tipburn is another common physiological disorder – also known as calcium deficiency – found in all brassica crops. Calcium is one of the most difficult elements to be taken up and translocated in the plant. When the growing conditions are humid and warm, the plants grow much faster but evaporates less. During this increased rate of growth and decreased rate of water movement in the plant, the calcium cannot move from the roots to the growing tips fast enough, leading to the deficiency of calcium in the tips of the leaves, particularly the inner leaves. The deprived areas become necrotic and papery, and much more susceptible to secondary infection. The affected leaves also become cupped, and the product has a shortened shelf life. Choosing the right variety for the season plays a very important role in preventing hollow stem and tipburn from occurring, since some varieties are much more susceptible to these disorders than orders. 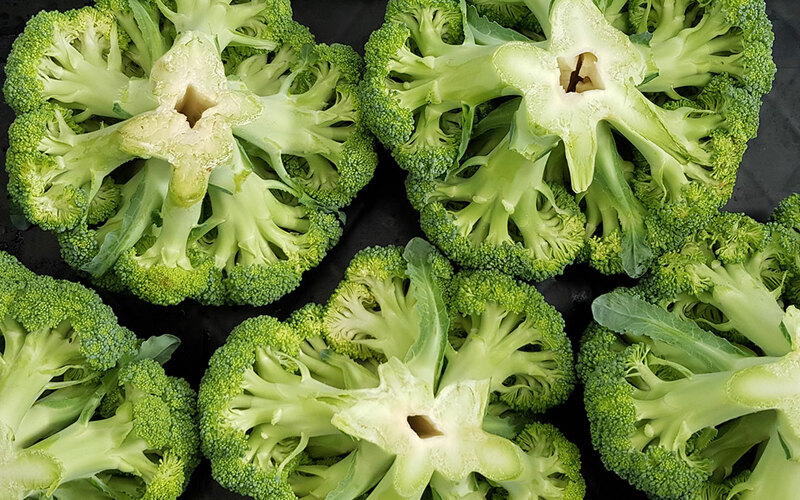 Ares* is new to the SAKATA broccoli range, especially catering for the warmer slots where hollow stem is a big challenge. Ares* is a faster maturing, perfectly dome shaped dark green broccoli that fits on a punnet like a hand in a glove. 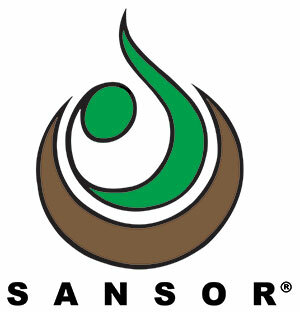 Ares* is suitable for sowing in spring, summer and autumn.